I’ve lived in the suburbs of Philadelphia for more than forty years. I’ve never followed city politics, but rather national politics and for the last two years it’s been almost a full time job. Caring for people seems to have fallen off the agenda of many politicians. I was not looking to be interested in Philadelphia’s 99th mayor who came into office on January 4, 2016. This interest found me as part of two photo essay projects- “Olney Advocates: Diversity’s Power To Change and Unite People” and “Finding The Humanity Of Refugees.” This story is not about politics or evaluating Mayor Jim Kenney’s job performance- that’s not my skill or interest. This story is about understanding the compassion that I’ve seen in him and that is often missed in typical political coverage. It captured my interest and I hope it will capture yours. In June 2017, while I was working on the Olney project, “Passport PHL” came to Olney: "… to encourage more Philadelphia residents to explore the city’s diverse neighborhoods and immigrant-owned businesses.” I was there to photograph the event for my friends at the North 5th Street Revitilization Project. Mayor Kenney came to Olney to sample great food at five diverse eateries. ​Mayor Kenney enjoyed samples of the many culinary treats available on the North 5th Street corridor in Olney. As we went from eatery to eatery the mayor was very friendly to each staff and readily posed for pictures that would surely end up on their walls as mementos of a special visit. There was no way to judge if the mayor was being genuine or just doing what was expected of him. But there was a moment that was unplanned. As we walked towards an eatery, the mayor noticed three children hiding behind a parking meter. I have no idea if they knew this was the mayor, but he was wearing an intimidating business suit not typical of Olney and was followed by an entourage. While he didn’t have to do this, he broke ranks and extended a friendly hand. 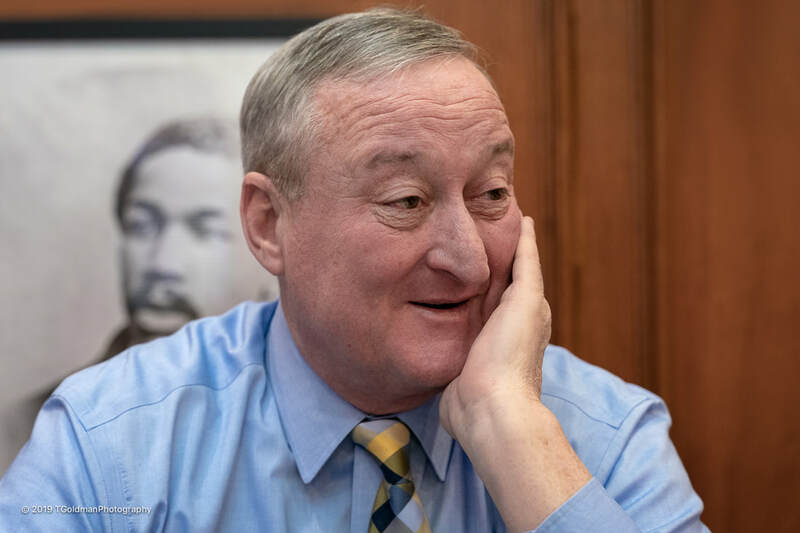 When I reviewed my images later in the day, I thought: “Who is this man?” This question would remain unanswered for a year until I next saw Mayor Kenney in action. “Love Your Park Week” was celebrated at Olney’s Fisher Park in May 2018. Mayor Kenney attended wearing a bright blue “Phillies” sweater. When he stepped to the podium to offer support for the Philadelphia park system, he did something that appears to be his signature: after reading prepared remarks, the glasses come off and he speaks from the heart. ​One answer to the question is that he is a man who sees investing in children as critical for the future. Not doing so means at-risk kids leading to an endless cycle of poverty, lawlessness, and declining cities… His hand always goes out to children. ​One month later I went to the “World Refugee Day” celebration at City Hall as part of my refugee/immigrant project. Mayor Kenney read his prepared remarks about the value of refugees and the challenges they face both in the U.S. and globally. Then the glasses came off and he gave a remarkable extemporaneous speech which was influenced by the Trump administration’s actions at the Southern border. So another answer to the question is that he has enormous compassion for people, whoever and wherever they are- he’s a politician whose leadership comes from the heart. I’m hooked! Now that I now know who he is, I want to know where his compassion comes from and I want to see it in action… So, how to make it happen? After explaining my interest in understanding Mayor Kenney as a person rather than as a politician, Councilwoman Parker graciously connected me to the mayor’s office. This led to my participation in the 2nd anniversary celebration of Mayor Kenney’s pre-K program and an interview in his office at City Hall. 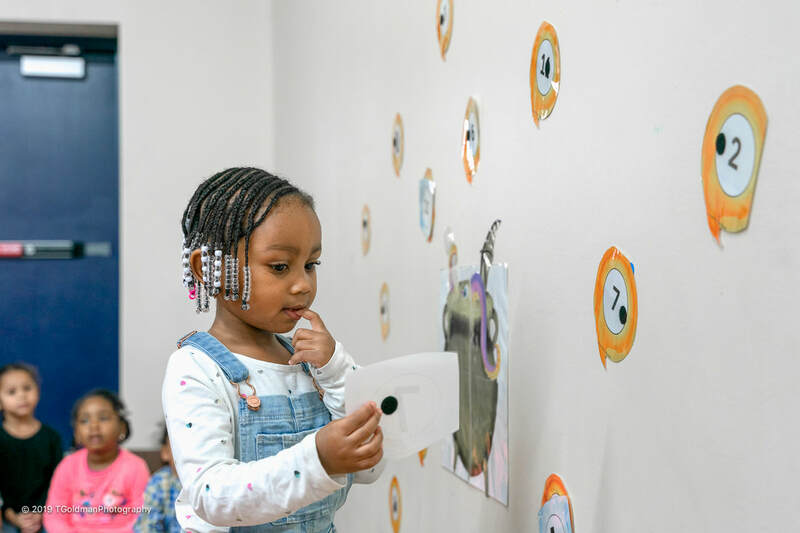 January 4, 2018 was the second anniversary of the initiative probably most valued by Mayor Kenney- free high quality pre-K. This comes from his deep belief that if a child is not reading by the 3rd or 4th grade their future will be at great risk. 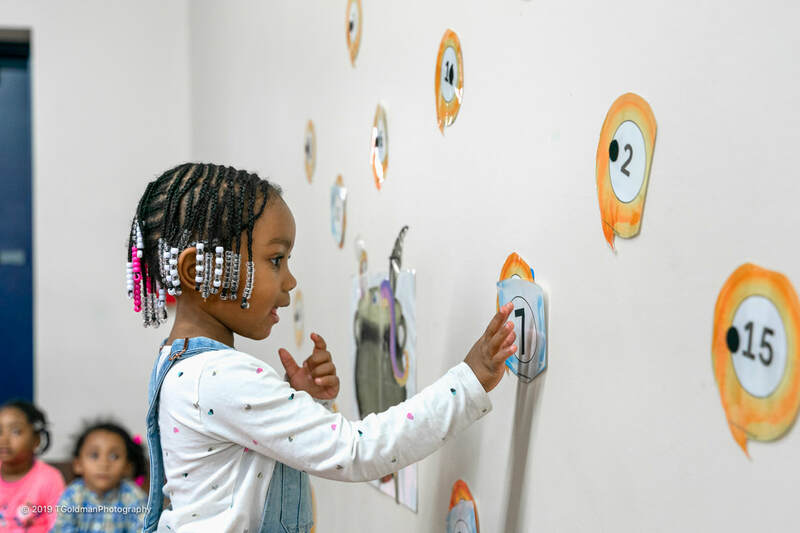 The celebration was held at “Your Child's World,” a pre-K school in the Elmwood section of Southwest Philadelphia. The building is a fortress-like brick structure that was actually a skating rink when the mayor was growing up. While not very inviting from the outside, the inside reveals a warm and fun learning space for young children- this is a wonderfully noisy place. Philadelphia press was invited to hear talks from members of the Kenney administration and from a pre-K mom. This was followed by a tour. Attendees received “By The Numbers,” a colorful printout summarizing PHLpre-K’s statistics for the first two years: enrollment, providers, family demographics, workforce impact, parent and caregiver feedback. 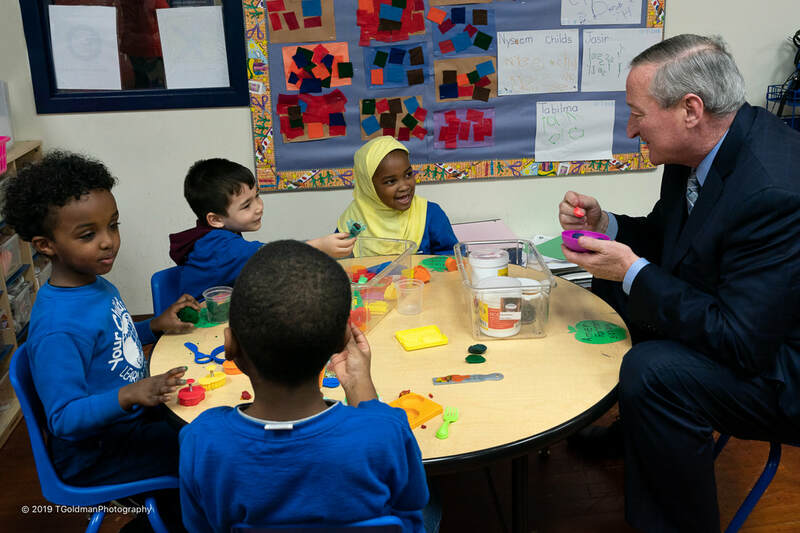 We learned that the pre-K program offers benefits beyond getting children off to a good start. It builds businesses such as Your Child’s World and creates employment opportunities. 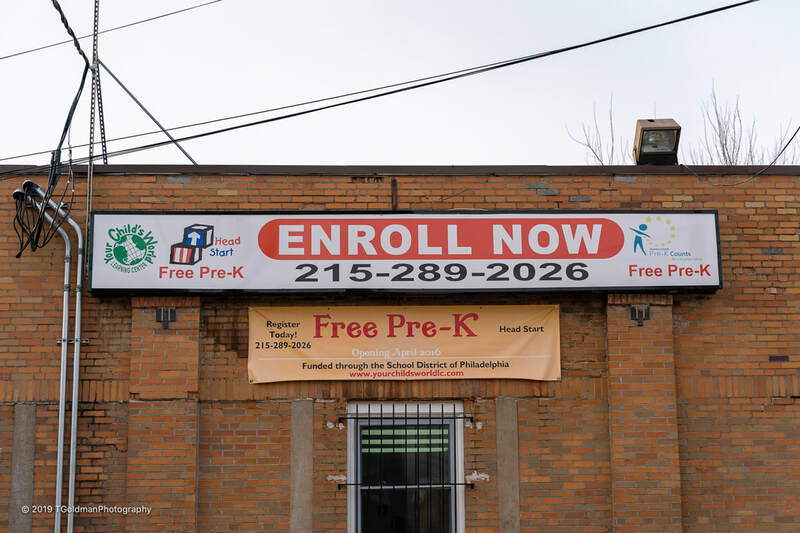 PHLpre-K is a key part of Philadelphia’s future. 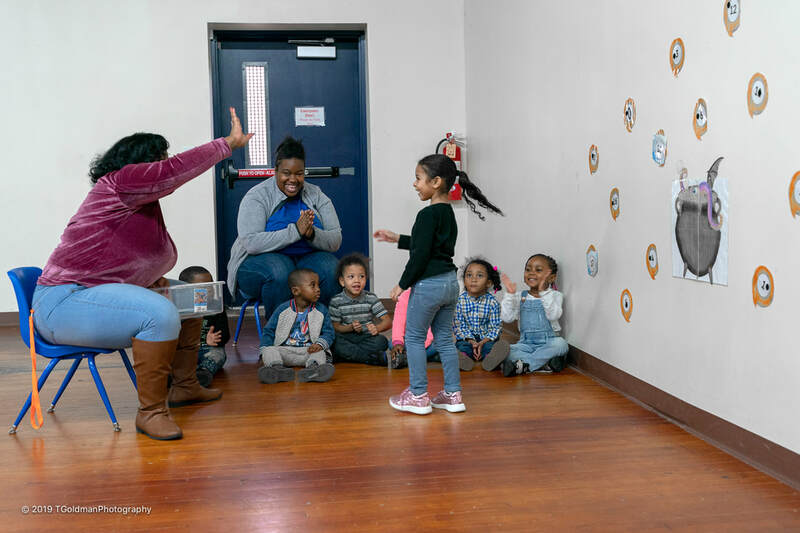 "I’m going to start by talking about where my son was before he got here; he went to a daycare and initially I was able to get financial support from CCIS (Child Care Information Services of Philadelphia), but once I started my new job with SEPTA (South Eastern Pennsylvania Transportation Authority) I made too much for CCIS support but not enough to pay for daycare out-of-pocket; a relative recommended that I go on the website for pre-K; I came in and they made enrollment very easy for me; I visited a couple of times to see the kids and make sure the facility runs smoothly… My son had a good adjustment- the first couple of days he wined and cried but after that he was OK; I love his teacher- she’s a sweetheart; he’s going to be here for at least two years to learn reading and writing by the time he is finished… So I’m really comfortable with the program and everything that it’s done for me and my family, especially financially." ​In observing Mayor Kenney on several occasions I’ve noticed that he can seem stoic. I watched for signs of emotion as he listened to this mom speak about the impact of pre-K on her family. With all the push-back he has endured about the beverage tax, this mom made it worth it… and the emotion broke though on his face. 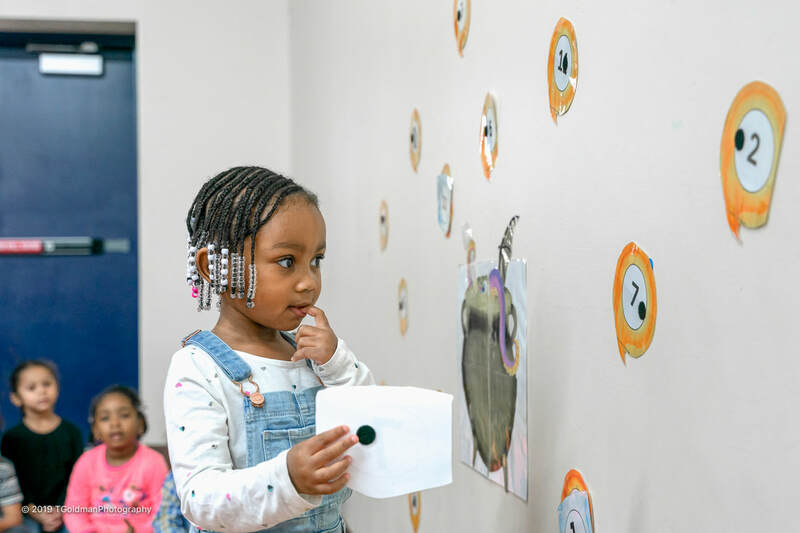 ​In touring classrooms, what jumps out is that pre-K is much more than play. Teachers provide learning and developmental tasks and each child receives a very spirited “high-5” from the teacher and cheers from schoolmates when they complete a task- this reinforcement is so important. The teachers are extremely engaged and nurturing to the children- it’s quite a joyous environment. Could the teachers have been putting on a show for the mayor and the cameras? Perhaps, but 3 and 4 year olds are totally pure- they’re learning and having a great time doing it. ​Mayor Kenney got trained in the fine art of the high-5 and really seemed to enjoy it. While it looks like fun, this experience is hugely impactful for these children as the mayor would explain. Mr. Mayor, how does it make you feel when you see this? And if you didn’t do this, what would happen to them? A student demonstrates the impact of successfully completing a task… In this exercise, students select a card with a number on its face. The reverse side has a hook-and-loop fastener. A nearby wall has corresponding numbers with a fastener on their faces. The student’s task is to find the matching number on the wall and to attach their card. Appearing to be in deep thought, she spots the “7” on the wall which is the number on her card. ​She looks back at her card to check. 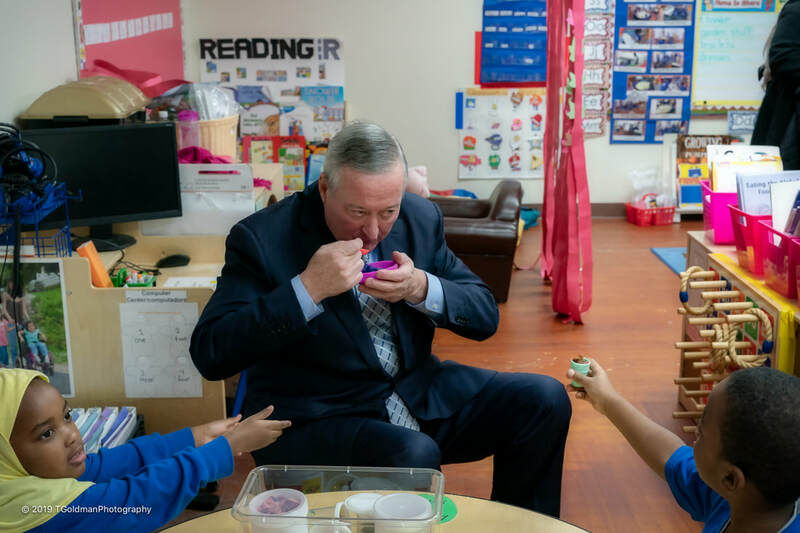 ​Mayor Kenney just can't get enough of these children. ​They offered their guest a snack which he gladly accepted. ​And then it was time to say good-bye to his special friends. I waited in the wood-paneled reception area of the mayor’s office suite. The outside door has a sign that speaks to the humanity of this administration. It offers welcome to all people no matter how they identify- I knew I was in the right place. “He’s ready,” said Deana Gamble (Communications Director, City of Philadelphia) as she came towards me. She arranged the interview in the hope that such a humanistic story would be beneficial to the mayor, and that is my goal. We walked through a few doors. A final door opened and Mayor Kenney was standing there with an outstretched hand. I wanted to freeze the action so that I could be a tourist for just a moment. I was in the office of the mayor of the 5th largest city in perhaps the most magnificent city hall in the country. I wanted to take it in, to see what was on the walls, to see the history in that room, but that wasn’t my job at a moment I had pondered for almost two years… We sat at a large conference table on the opposite wall from his massive desk. I fumbled to get all my papers and camera out of the two bags I carried. There was some initial conversation between the mayor and Ms. Gamble about how much time we would have- the mayor was committed to the hour that was planned. That was a good sign because going in I had no idea how he would react to this interview- would he be open or frustrated with another waste of time? I explained as quickly as I could about my work to create photo essays on topics of social justice and explained what I had seen in him during the last two years- I made the point by showing the picture of him reaching out to the children in Olney. He was very attentive and appreciated the opportunity- I guess he is more accustomed to people giving him a hard time. 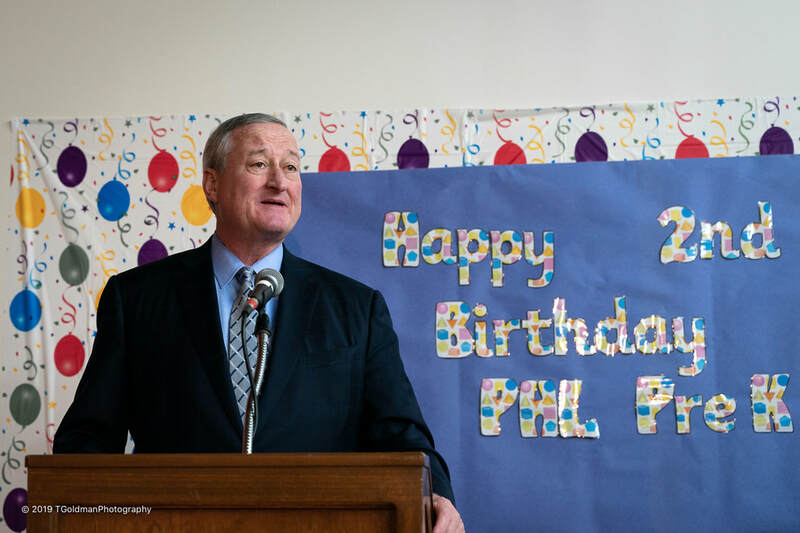 I made it clear that I was not there to discuss policy, but rather to understand his humanity… After I finished my litany I said: “What I need to know is- How did Jim Kenney become Jim Kenney?” He took control of the interview with a stream of consciousness about his childhood and commitment to social justice. I followed along just asking a few questions when I needed to dig deeper into his beliefs, all the while taking a constant stream of images. ​He sat in front of a photograph appearing to be from the 1800’s. I didn’t immediately recognize the man until later when I realized that it is Octavius Catto (February 22, 1839 - October 10, 1871). ​Catto was a civil rights activist in Philadelphia who was murdered on election day 1871 over issues of suffrage for African Americans. Mayor Kenney was instrumental in having a sculpture of this unsung hero produced and placed at the South side of Philadelphia’s City Hall- he began this effort fifteen years earlier while on the city council. 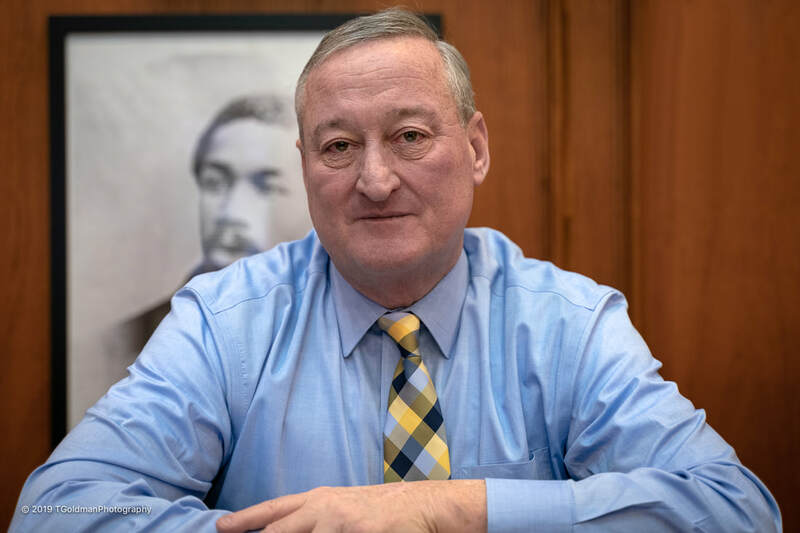 In September 2017 when he unveiled the sculpture, the first monument to an African American on city property, Mayor Kenney said: “It’s my hope that every child in Philadelphia and America will know as much about Catto as they do about George Washington and Martin Luther King, Jr.” ... ​Given what I already knew and what I was to learn about Mayor Kenney, having Octavius Catto at his back is probably very reassuring to him. ​The magnificent sculpture of Octavius Catto at Philadelphia City Hall. Mr. Mayor, how did you become the person you are today? ​Your commitment to equity and the belief that everybody should have equal access- where does that come from? Is that what is happening in our society today? “I teach kids that you don’t have to beat up the bully- all you have to do is to shelter the one being bullied; so when a person eats lunch at a table by themselves all year long and are susceptible to that kind of bullying, just say: ‘Come on over and sit with us’- that’s all you have to do; just bring someone into the mix and make them feel like they are worthwhile, that they are sheltered in some way and they have a group of people who have their back- truly that’s what it’s about!”… There could be no better expression of Mayor Kenney’s commitment to equity and equal access. Do you think it’s unusual for a politician to feel that way in today’s world? Isn’t it hard to be a politician and not be full of your self? “It is… They would have killed you down South for teaching a slave to read- why?… In Ireland the Hibernian Society was established to protect priests from being murdered by the British because the priests taught people to read- when you teach the peasant to read they now have the ability to say: ‘Wait a minute, I know what this is about!’… It allows people to come together to overthrow you!”… It is so clear that education for everyone is Mayor Kenney’s way to empower the powerless. ​In terms of equity and wanting everyone to reach their potential, do you have the wind at your back? What about the public’s reaction to the beverage tax? When the book is written about the accomplishments of Jim Kenney’s career- what do you hope it will say? Did your best to deliver what to society? On this day of service I think about the poverty and homelessness that mars the streets of Philadelphia and is mirrored across the country and the world. The tendency is to think about programs to help people experiencing poverty and homelessness. As valuable as these programs are, they are a bandage on a wound that has already been inflicted. While well-meaning, these efforts are part of the unending revolving door of poverty- the poor who die off are readily replaced. 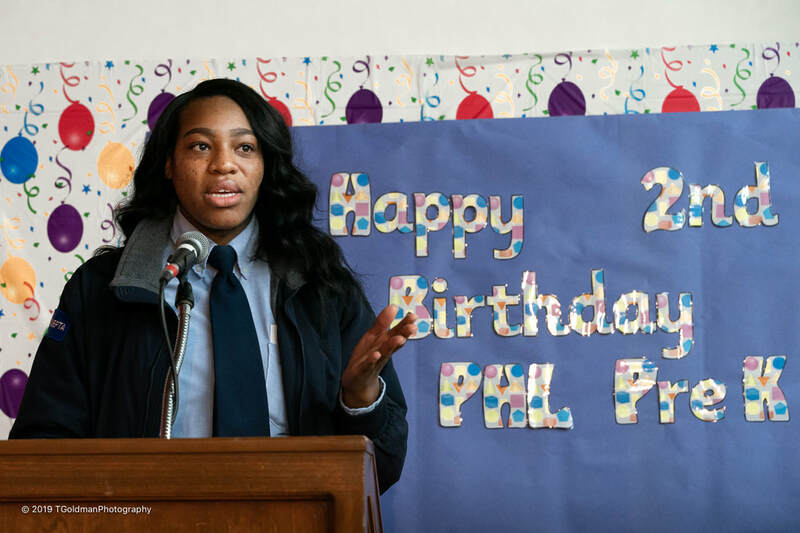 Every year on the first day of winter Homeless Memorial Day is held in Philadelphia and in major cities around the country, knowing full well that the list of those lost will probably be longer next year. “Who is this man?” is best answered by listening to his words and seeing his deeds. What I have experienced over the past two years is a humble man whose very roots are founded in justice for all, not leaving anyone behind, and building human capital to the fullest extent possible. ​The mayor watches as a pre-K student gets his high-5 for matching a number: Mr. Mayor, you feel this in your heart don’t you? But you as mayor set the direction of the ship- isn't that what leaders do? The motto on the mayor’s office wall reads: “We Care About Everyone!”… It’s not physically there- but it’s plain to see! ​The 99th mayor of Philadelphia meets with his Junior City Council. When he looks into their eyes, he sees more than the beautiful children they are. 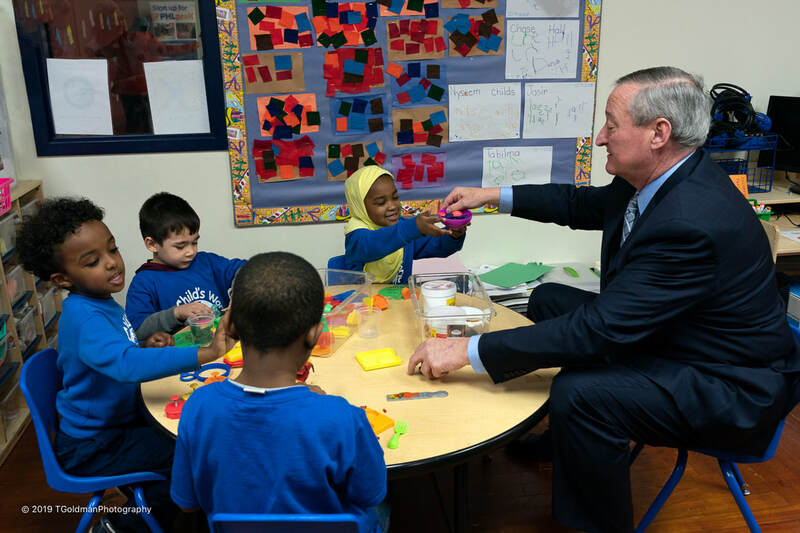 He sees the future of Philadelphia and of the United States… Children are at the heart of his leadership.